This project is inspired by ICCAD 2014 DFM contest. 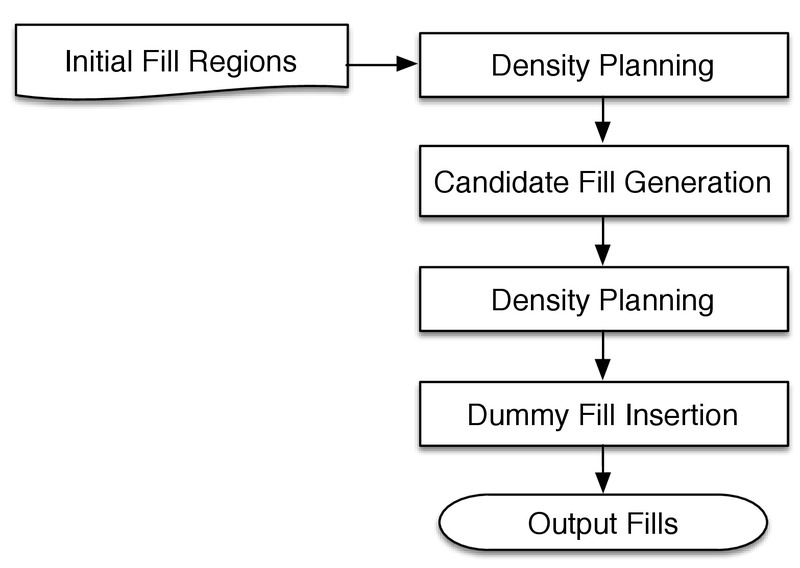 We present DFI, a fill optimization framework with multiple objectives and constraints. Yibo Lin, Bei Yu and David Z. Pan, “High Performance Dummy Fill Insertion with Coupling and Uniformity Constraints”, ACM/IEEE Design Automation Conference (DAC), pp. 71:1-71:6, San Francisco, CA, June 7-11, 2015. DFI is developed by Yibo Lin, Bei Yu, and Prof. David Z. Pan. Please contact us with any bug reports and comments.